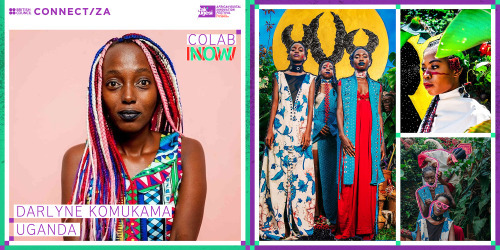 British Council Connect ZA is excited to announce the 15 creatives from East Africa, West Africa, Southern Africa and the UK who will be taking part in ColabNowNow during the Fak’ugesi African Digital Innovation Festival 2017! Darlyne Komukama is a queer intersectional feminist and photographer engaging with the bodies of Ugandan women. She is interested in powerful and timeless images of black women and use installations of my work in physical spaces to directly connect with Ugandan, African and Afro diasporic women on the full scope of our humanity. She is currently doing work with The Salooni, a project she co-founded with 3 other Ugandan women. They explore the politics, science, technology and history of black hair with a multidisciplinary approach including photography, videography, theatre and a traveling pop-up salon that has just returned from our European debut at the Africa Utopia festival at the Southbank Centre in London, England. John Magati is a Visual Artist from Nairobi, Kenya who mainly uses photography and illustration as a medium. His work focuses on fashion, time and location as they help him define the impact of society, and help him express himself and his ideas. Kampire Bahana is a DJ, writer and arts organiser based in Kampala. She has written for Okayafrica, Afripop Mag, Jalada Magazine and Dynamic Africa, among others. She honed her fundraising and communications skills working in civil society and arts organisations like Maisha Foundation. Along with 3 others, she co-founded The Salooni project, an art installation that has traveled to festivals in 5 countries. As resident DJ with Boutiq Electroniq, she opened for Jojo Abot and Diplo, played at Nyege Nyege 2016, and followed The Black Madonna as part of Santuri’s Femme Electronic. She has traveled to DRC for Amani festival and was one of two women, and the only East African, at Burkina Faso’s Africa Bass Culture. Olivia Twist is an illustrator from east London who graduated from the Royal College of Art this year with an MA in Visual Communication. The key threads which can be found in her work are place, the mundane and overlooked narratives. Her striking visual language comprises of a myriad of esoteric layers informed by a propensity for human-centered research methodologies. She is determined to make the arts, heritage institutions and arts education more accessible and representative to marginal communities. Olivia has a strong interest in collaboration and participatory design, relational aesthetics and documenting social history as it unfolds. As a practitioner her aims are to provide her audience with ‘the shock of the familiar’, to encourage taking up space and to stir intergenerational discussion. Cult Storyteller’ Christopher Lutterodt-Quarcoo is a London based Designer, Director and Writer. His background in film, design and politics are linked through his affinity for intricate narratives revealed through an experience of a specific individual or psyche. His works are typically materialised as installations using cinematic devices and religious conventions. In 2016 he founded ‘UNMATERIALISED’ an independent archive engineering doubt. As an archive explores the moral and societal opinions of individuals through intense and thought-provoking design works. The intention? To deconstruct society as we know it. He later developed ’THE ADVRSRY’ (pronounced Adversary) a critical simulator developing immersive think-tank experiences. They envision their work as a means to empathise with the impossible, with the belief that understanding is more effective than accusation. Nikky Norton Shafau is a storyteller and maker with a strange ambition to become a storybook. She takes inspiration from everyday experiences and interaction with others to inform where she should go next to achieve her transformation. At present, she creates audio bedtime stories and delivers story experiences in interesting spaces – think rooftops, canals and secret gardens. She also tells the story of becoming a story, run workshops in the community, turn people into storybooks and document live events - which she calls ‘Storybooking’ – capturing photos and short interviews to showcase on her blog as well as creating a plenary poem. Mamadou Wane, aka Papi, is a visual artist and freelance creative director who is currently based in Dakar, Senegal. Painting theory and photography taught him to look at the world through light, composition and colour, and subsequently, he is often contemplating how his experiences would translate in an artistic context. Mamadou has participated in two Dakart Biennale OFF, co-founded a socio-cultural platform “DakarLives” which is an information hub about Dakar and is a creative catalyst for conversation among the young people of Senegal. Mamadou also own a clothing brand, Mwami, and his last series of paintings “Or du temps” has been partially bought by the King of Morocco itself and is now part of the Royal collection. Mukhtara Yusuf is a Yoruba-Nigerian Muslim, visual artist/scholar, cultural activist and designer. Her work focuses on black speculative design pedagogy, african identity, hybridity, urban design and environmentalism. She is a graduate from Dartmouth College, and her educational background is in sociology and african/african-american studies. Her most recent creative practice focuses on the capacity to use afrofuturism as trauma healing modality by exploring larger conceptual motifs of colonial time, indigenous epistemology and material counter memory. Her transdisciplinary work crosses creative genres of architecture, fashion, and product design. Strong influences in her work include Kunle Adeyemi, Ai Wei Wei, Wangechi Mutu, Mona Hatoum, John Akomfrah, and Kodwo Eshun. Prince Kojo-Hilton is a production designer, art director, and art advocate from Ghana. He graduated from the National Film and Television Institute, NAFTI, with a major in Art Direction and Production Design, and has had the opportunity of enhancing his career with the Technical Department of the National Theatre of Ghana, in the areas of Scenic Design, Props Design, Makeup Effects, Set Design and Construction. Prince is the 2016 Osagyefo Pan African Eminence Art Director Award winner and the Greater Accra Regional Chairman for Ghana Association of Visual Artists (GAVA). Hugo Mendes is an illustrator from Maputo, Mozambique with a passion for cartoons and comic books. As Mozambique is a country with a rich culture diversity and a strong tradition of craftsmanship in woodcarving and sculptures, he takes inspiration from these processes, and creates work that resembles the craft of woodblock printing. 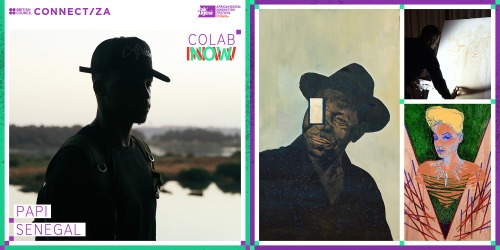 Through his artwork, he aims to represent everyday life aspects referring to the collective history of the Mozambican people and their fantasies, while seeking more intimate elements related to the dark side of his psyche and the black experience. Hugo attempts to produce content that interests and represents him, but isn’t available to him in Mozambique. Lindokuhle Nkosi, a writer from South Africa whose textual work often merges with installation and performance. She has written for numerous publications, and has curated exhibitions and projects at galleries and in the public space. While floating across different genres – journalistic, reflective, experimental – her work is consistently insightful, rich in textures, and engaged with realities. Lindokuhle’s work as a writer, curator and project organiser is fervent in its radicalism, its honesty and willingness to engage her environment, and communities on the periphery. Beyond her writing, she has also engaged in interventions that explored the realm of performance employing a mixed media of texts, installations and conversations. An arts contributor to Elephant Magazine, The Sunday Times, The Mail and Guardian and Chimurenga Chronic, she is currently reading towards her Masters in Creative Writing at the University Currently Known As Rhodes. Janus Fouché is a South African digital artist, working in multimedia projects ranging from interactive electronic musical installations, animation, to self-organizing biological systems laser-engraved onto paper. He is most known as a collaborator, having worked with contemporary artists and composers such as William Kentridge, Blessing Ngobeni, Deborah Bell, Philip Miller, João Orecchia. He focuses on the digital space as a parallel, abstract, but equally present universe, with its own laws and aesthetics to be constructed, explored, and reflected upon, revealing the underlying systems and relationships of our own experience. Fragments of both worlds are pulled into one-another to create new, unexpected relationships. While completing his postgraduate degree (hons) in Multimedia, he began an internship at the William Kentridge studio (2011), and has subsequently taken on editorial roles in several international Kentridge projects (most notably More Sweetly Play the Dance, and Right Into Her Arms). Moleba is a scholar, playwright, theatre-maker and director. His work addresses contemporary socio-political issues affecting young people. He is a member of PlayRiot, a collective of playwrights committed to telling bold, contemporary South African stories. He holds an honours degree in Dramatic Arts from the University of the Witwatersrand, where he also completed his M.A. in Diversity Studies (narrative research: interrogating youth identity constructions in South Africa). He is currently the resident dramaturg at The South African State Theatre. He was recently one of the playwrights in residence with The Royal Court Theatre, London, ASSITEJ SA’s Inspiring A Generation programme, and an alumni of the Theatre Project with the DO School, Hamburg, Germany. Candida Merwe is a multidisciplinary artist from South Africa who studied Multimedia at the University of Johannesburg. Her BTech practical assessment was Occupy Maboneng, an experimental documentary that interacted with Maboneng as an evolving city space which she visualised aiming to represent Henri Lefebvre’s concepts of space using video. 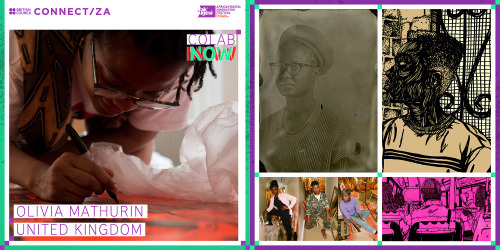 She co-created video material for Urban Mermaid, a project conceptualised by Nelisiwe Xaba, which was subsequently premiered at Foreign Affairs Festival in Berlin in 2016 and presented at Moshito Music Conference and Goodman Gallery’s 50th Anniversary. She likes to play around with editing videos, creating short animation loops, doodling and writing short comments on life in the present moment. Nyasha Madamombe is a lifelong student of art whose mind and creativity are always being challenged and opened up to endless possibilities.She appreciates art in any form it is exhibited in and tries not to hold herself to any particular form or style but rather draw inspiration. Her work is a personal expression of everyday experiences and thoughts, although its presentation is a little unorthodox to her environment. She is therefore very passionate about the artistic contribution of women. Those who inspire and aspire and she continues to seek out opportunities to be more involved. Self-knowledge and awareness for herself and others is a huge part of her life. 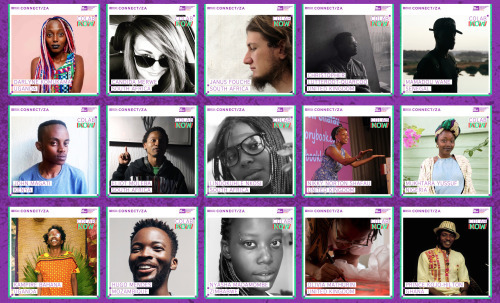 10 artists working in the digital realm who will create work independently or collaboratively, to be shown at the Fak’ugesi Block Party. Artists include, but are not limited to: visual/graphic artists, architects, technical artists, programmers, music/sound artists, performers and animators. 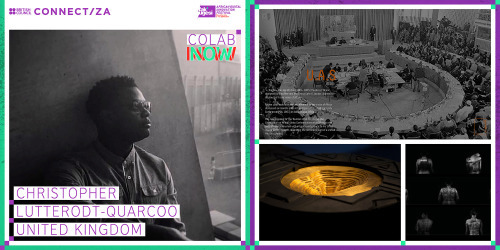 5 Digital Storytellers who will document and engage in the collaborative activities of the artists, telling the story to audiences in their respective countries. They are also encouraged to work with the artists. Digital storytellers include, but are not limited to: writers, photographers, videographers, bloggers and vloggers. Fak’ugesi is an annual digital innovation festival that supports the crossover of art, culture and technology in the heart of Johannesburg’s pumping youth centre, Braamfontein. It is implemented by Wits Digital Arts (University of Witwatersrand) in collaboration with the Tshimologong Innovation Precinct. The ten-day festival is a celebration of creativity and technology with: talks, exhibitions, hacks, workshops, game arcades, parties and skills exchanges. For 2017 Fak’ugesi Festival salutes Digital Africans that follow their hearts and live bravely. 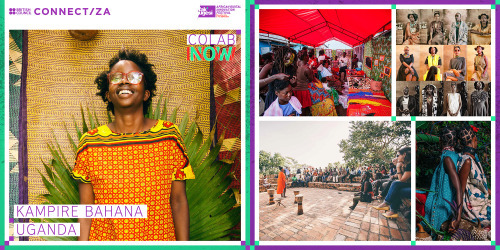 This is the fourth year that British Council Connect ZA has partnered with the Fak’ugesi Festival. BRAVE TECH HEARTS BEAT AS ONE. 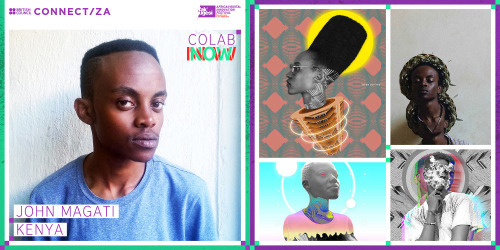 Kenyan born, Jepchumba is the founder and creative director of African Digital Art, a collective and creative space where digital artists, enthusiasts and professionals can seek inspiration, showcase their artistry and connect with emerging artists. She is a cultural ambassador who travels the world sharing her views on African art and technology. She curates various digital arts platforms in Africa and abroad. Having played a significant role to transform African digital spaces, she was listed as one of the 20 Youngest Power Women in Africa 2012 by Forbes, as well as Africa’s Top 25 Women Achievers by the Guardian.